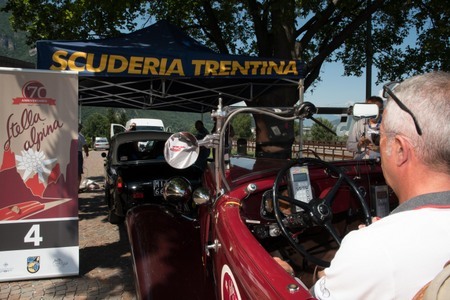 The 70th anniversary and 32nd edition Stella Alpina Rally from 6th to 9th July 2017 has just come to a close, organized by Scuderia Trentina with the support of Canossa Events. 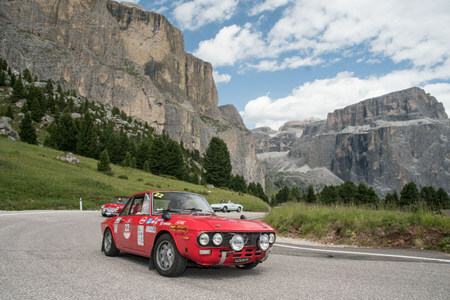 Its winning combination of sport, passion, spectacular panoramas, hairpin bends and breathtaking scenery in the marvelous Dolomites delighted all those taking part, people who love competing with their cars but appreciate the opportunity to see new places and sample some special food and wine at the same time. 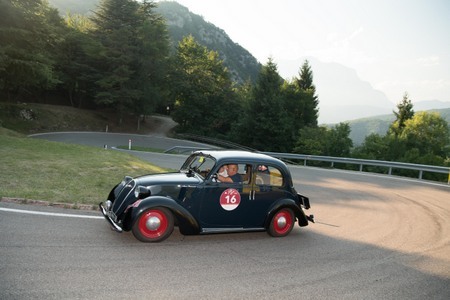 The winners on the podium of the classic cars were team 16: Mario Passanante and Raffaella De Alessandrini in a 1938 Fiat 508C who also won the sought-after Azimut Trophy reserved for pre-1957 cars. 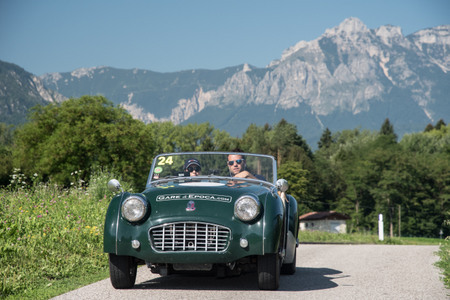 Giordano Mozzi and Stefania Biacca came second in a 1955 Triumph Tr2, whereas Andrea Giacoppo and Daniela Grillone Tecioiu came in third in a 1972 Lancia Fulvia. 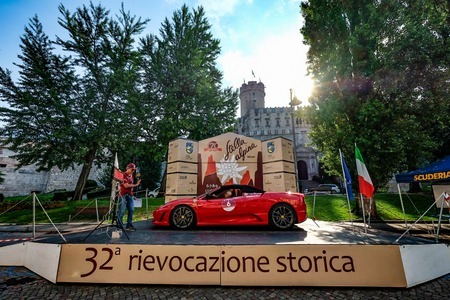 As regards the podium of the modern Ferraris, first place went to Mauro Trifero in a Ferrari 456 M GT, followed by Francesco Guilla and Felicia Crisafulli in a Ferrari California T, and then the patron of the event, Enrico Zobele with Ivana Trentinaglia in a marvelous Ferrari 488 Spider 70°. 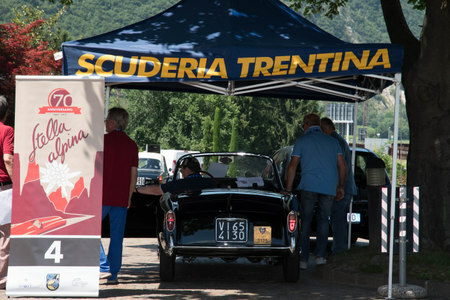 Club Orobico Bergamo Corse won the Banca Galileo Trophy reserved for the first ranking scuderia. 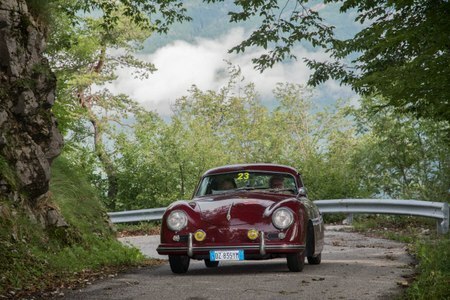 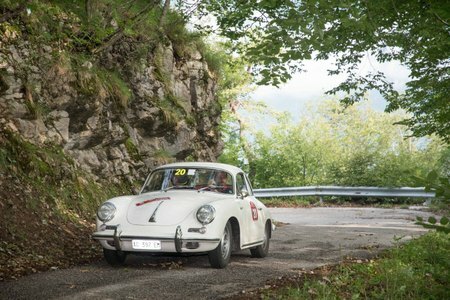 The Ladies Cup went to Gabriella Scarioni and Ornella Pietropaolo in a 1960 Porsche 356 B. 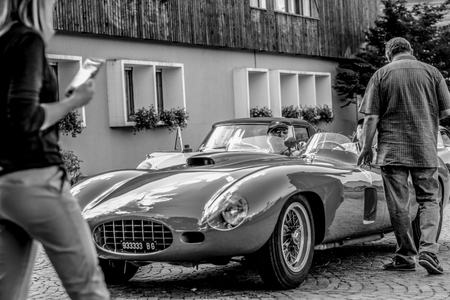 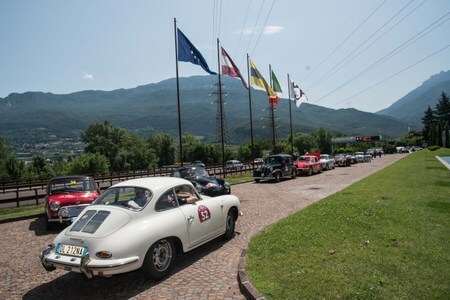 The international cup – Cuervo y Sobrinos Trophy went to Stefano Ginesi and Susanna Rohr in a 1956 AC ACE. 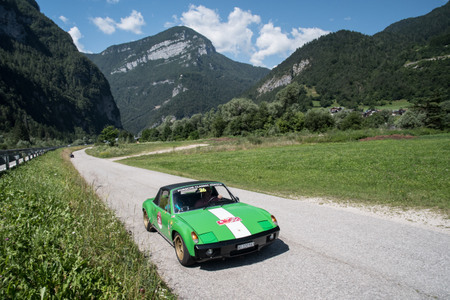 The beautiful 1967 Maserati Mistral Spider driven by Peter Straub and Madeleine Villiger won the Gare d’Epoca prize reserved for the most elegant car. 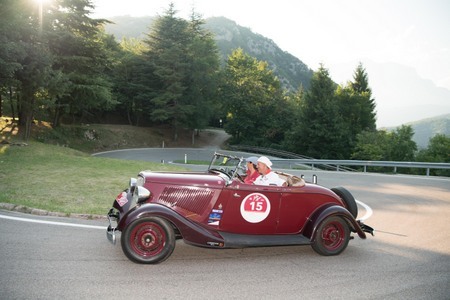 Two special prizes were also assigned to Vincent and Marie Tourneur for taking part in the rally with the only open pre-war barchetta, a 1936 Delahaye 135 S, and to Giorgio and Claudio Montagni, known as Cirpino, the only crew that had taken part in the very first Stella Alpina in 1947. 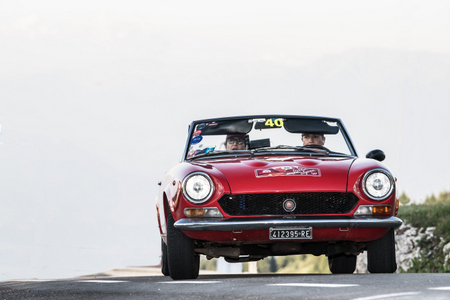 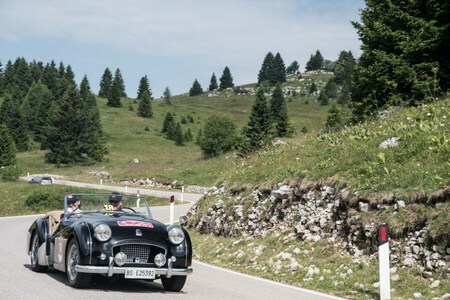 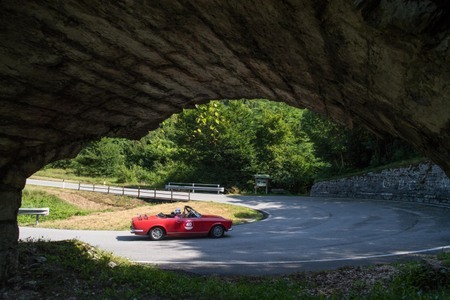 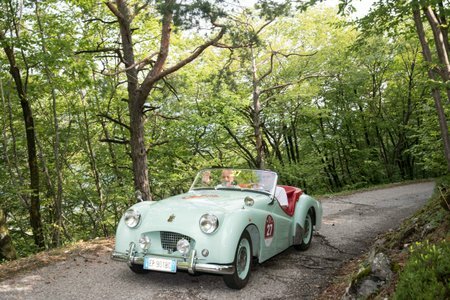 The 2017 Stella Alpina covered the same itinerary as the first rally in 1947 on the enchanting roads in west, east and south Trentino, giving the teams the chance to experience the thrill of reliving its glorious past. 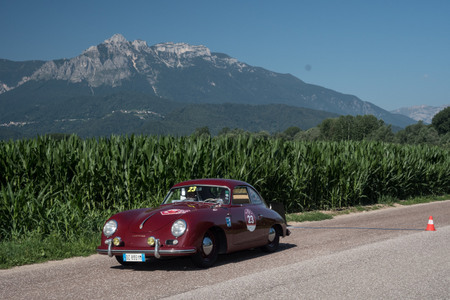 The race set off and returned to Trento every day, just like the first edition. 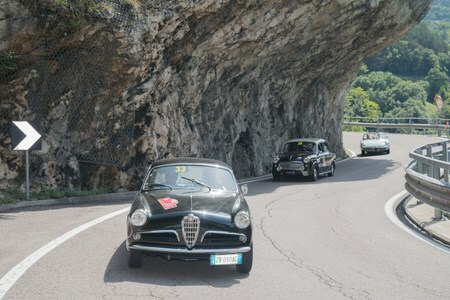 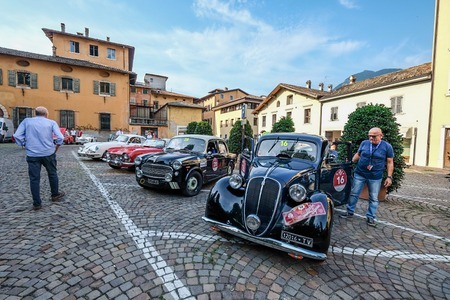 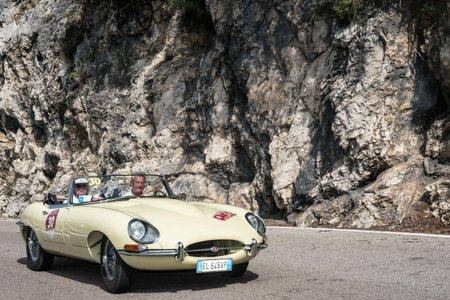 For four days, these four-wheeled gems were out on parade on the most beautiful roads in Trentino, following a 700 km route that also included the historic Trento Bondone hill climb, where the teams raced to make the best time with differences between them in terms of hundredths of a second. 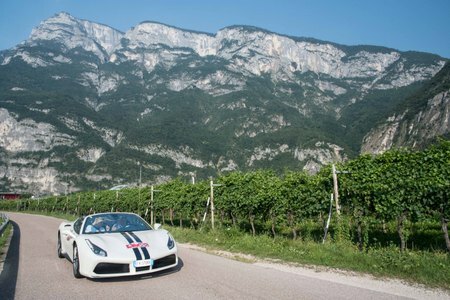 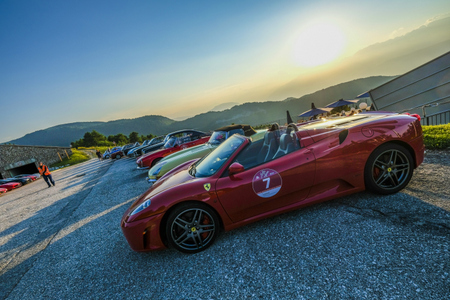 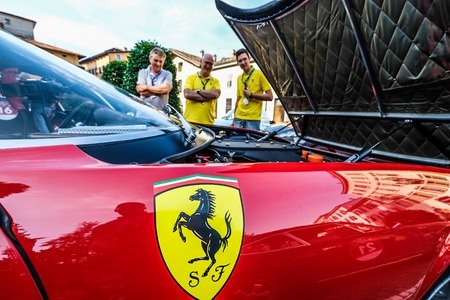 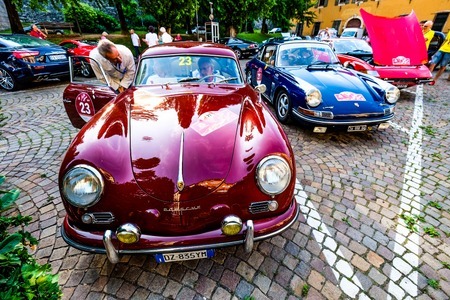 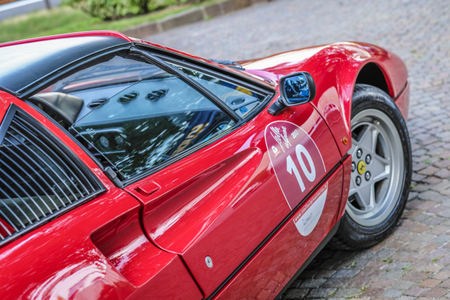 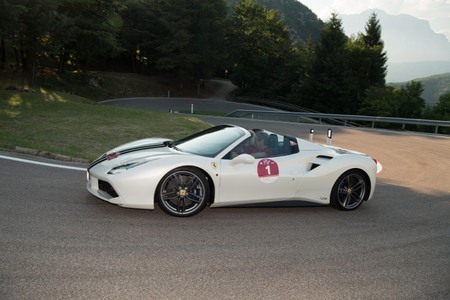 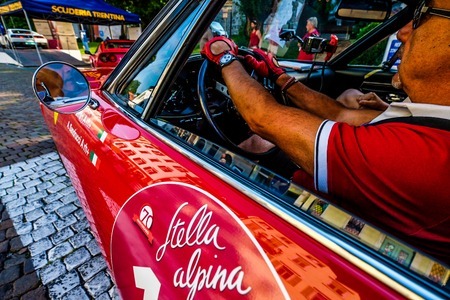 The grounds at Cantine Ferrari started to fill up from 1 pm on Thursday 6th July, as the sixty crews started to arrive for the Stella Alpina, all full of enthusiasm and ready to take up the challenge of the legendary Trento Bondone hill climb. 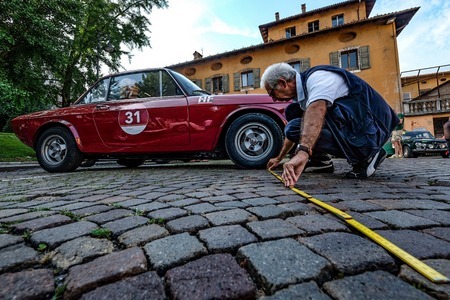 Race documents were checked, the welcome gifts offered by the sponsors and organizers were handed out, and the cars were inspected and admired in this superb parterre. 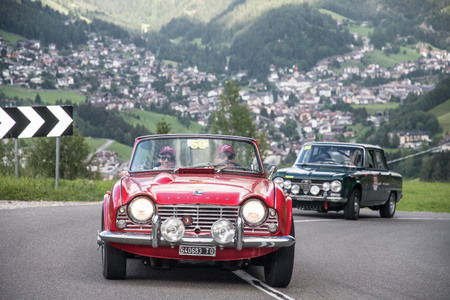 The atmosphere was electric with anticipation, as drivers and navigators greeted old friends and made new acquaintances, swapping ideas and sharing tips, with the “historic” crews who had several past rallies under their belts offering advice to those taking part in this historic rally for the first time. 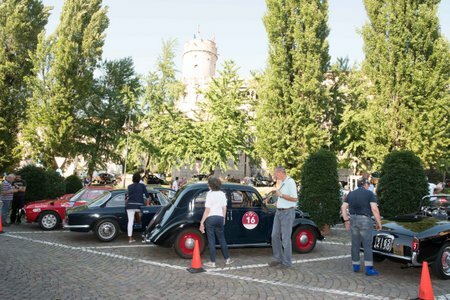 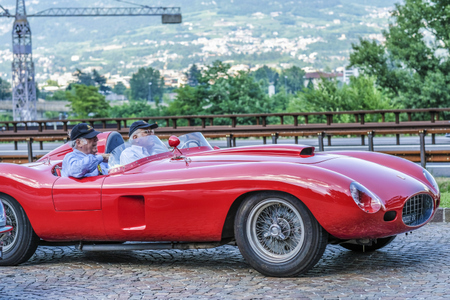 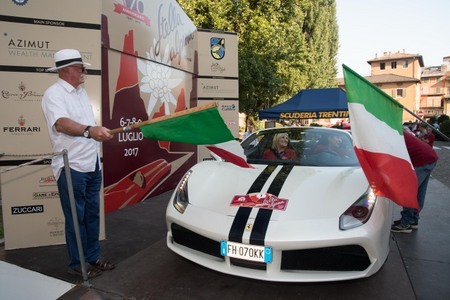 The race got off to a start at 6.30 pm in Piazza Mostra in the shadow of imposing Castello del Buonconsiglio where the cars were presented to a very enthusiastic public who came to admire them, a flourish of the Italian flag and the race began. 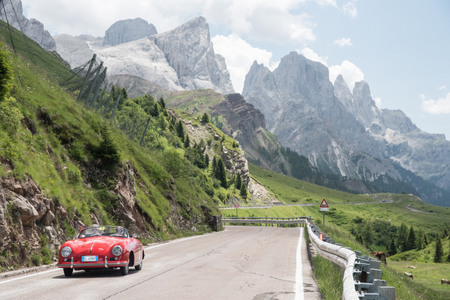 The perfect road surfaces, the great weather and the unwavering pursuit of victory made for some unforgettable memories for both drivers and navigators. 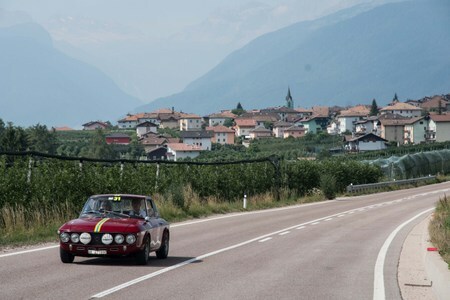 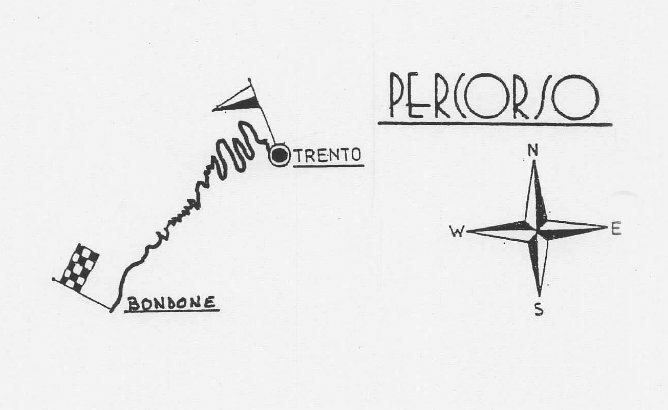 After setting out from Trento, the teams headed towards west Trentino, driving though marvelous Val di Non and passing through Cles, Palade Pass, Merano, Appiano and Mendola Pass. 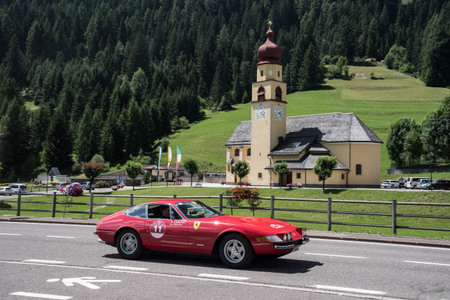 Lunch was en-route before the teams set off again, passing through Val di Sole as far as Dimaro and then turning left towards Madonna di Campiglio, Valle dei Laghi, Terme di Comano and Sarche. 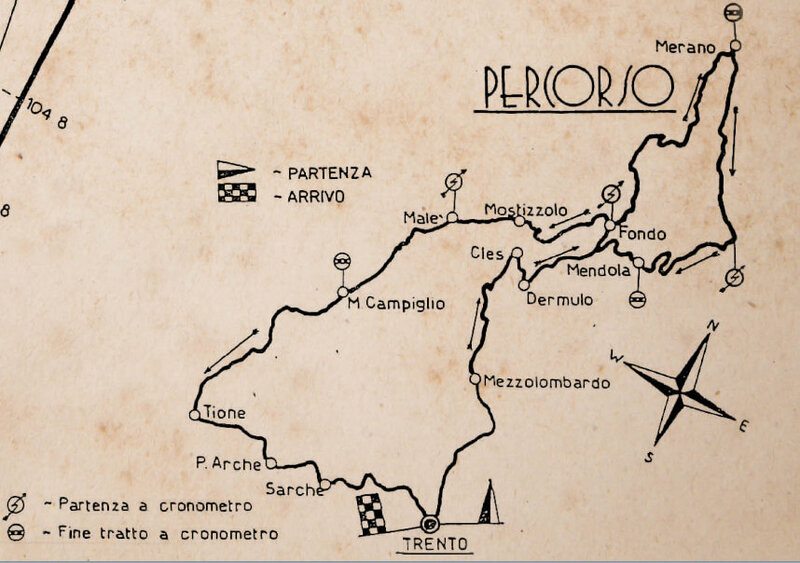 An itinerary of around 290 kilometers with 46 timed trials. 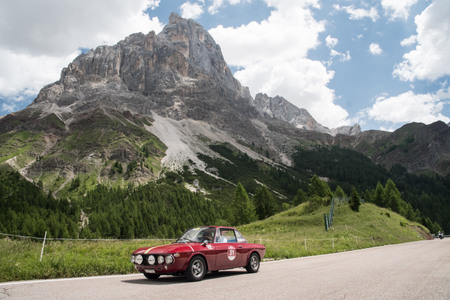 A decidedly exciting tour, especially for competitors less accustomed to driving through the scenery proposed by the Stella Alpina. 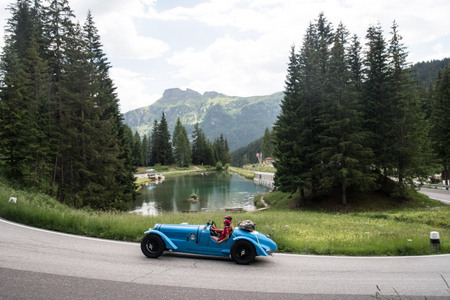 Lunch at Golf Club Dolomiti, Dinner and overnight stay at hotel. 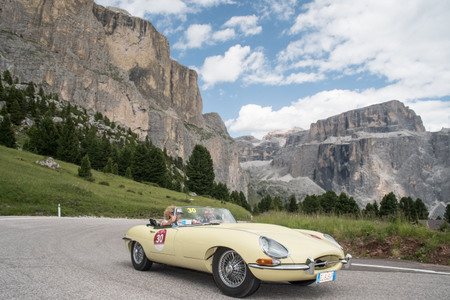 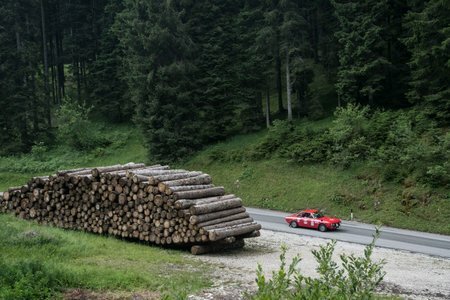 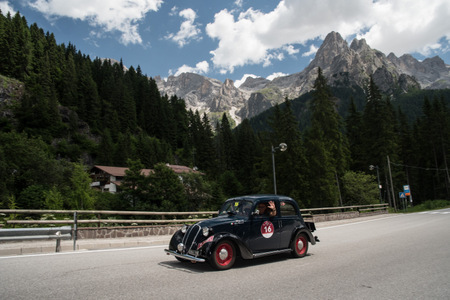 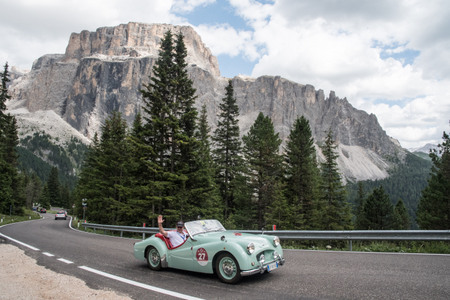 On day three, the crews took to the spectacular roads in east Trentino, passing through Valsugana, San Martino di Castrozza, Rolle Pass, Bellamonte, Predazzo, Moena and Canazei before crossing Sella Pass, the gate to Alto Adige, into Val Gardena with Selva, Ortisei and finishing up at Bolzano. 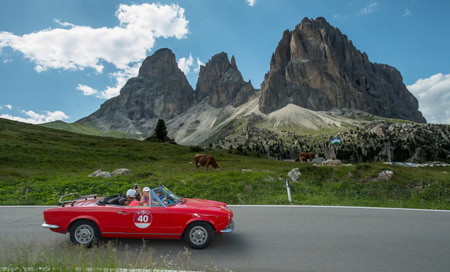 After completing 27 timed trials and driving 250 kilometers in the morning, the drivers finally relaxed over lunch at Moena, the “enchantress” of the Dolomites. 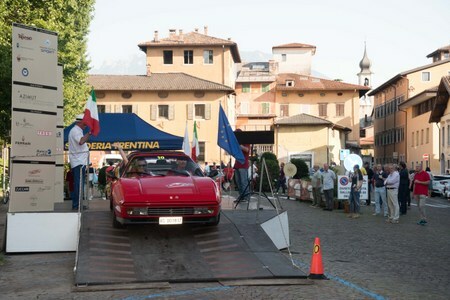 The day’s events came to a close in Piazza Walter at Bolzano. 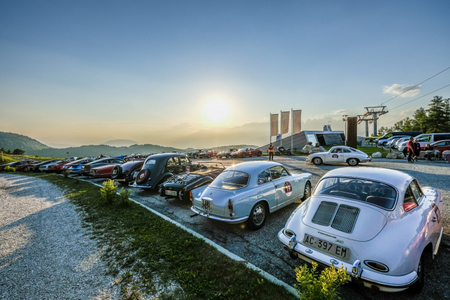 There was just time for a short rest and a change of clothes in preparation for the gala dinner held at the illustrious Muse Natural Science Museum in Trento, designed by Renzo Piano, a popular attraction for visitors from all around the world. 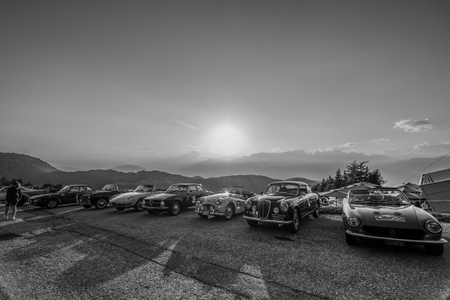 Some cars lined up at the entrance of the famous museum and the effect was astonishing: past and present, science and engineering, mountains and evening gowns, it was certainly a fabulous sight. 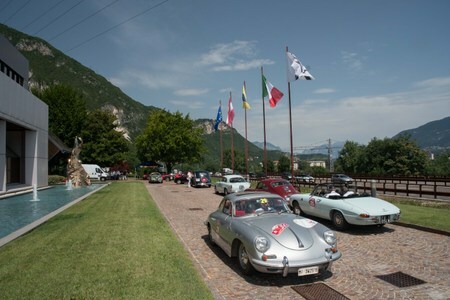 Lunch at Hotel Foresta, Moena, Gala dinner at the Muse museum in Trento. 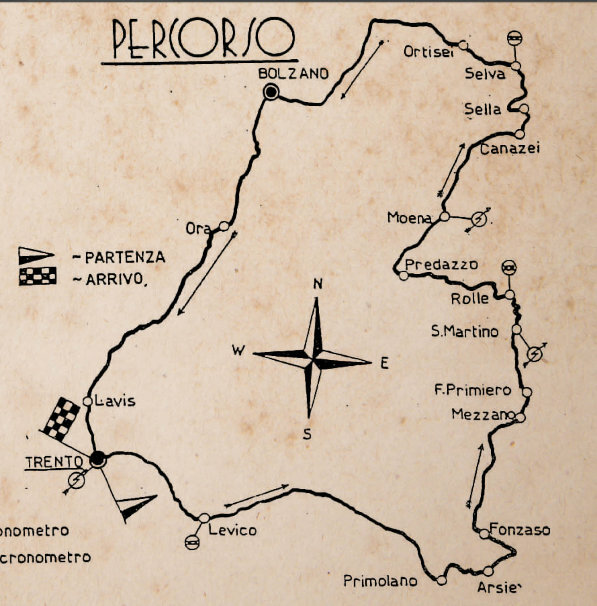 The last day of the race and the last 60 kilometers. 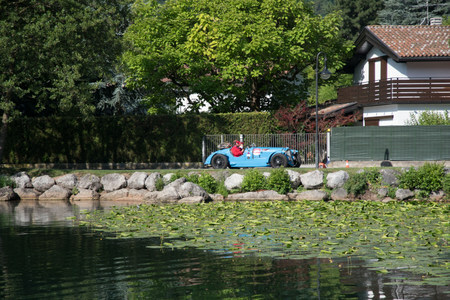 This is where the final ranking was decided , the atmosphere was loaded with adrenalin among the crews competing for a place on the podium during the last 12 trials. 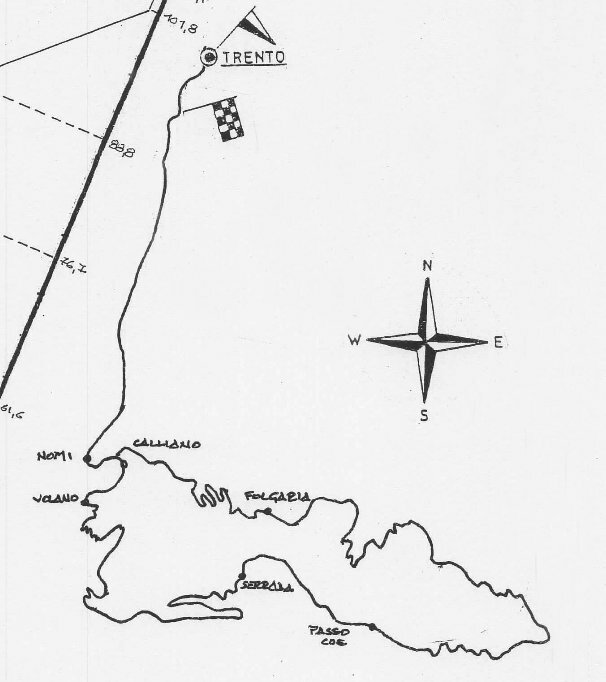 The route was “lighter” and took the crews to Vallagarina and across Coe Pass. 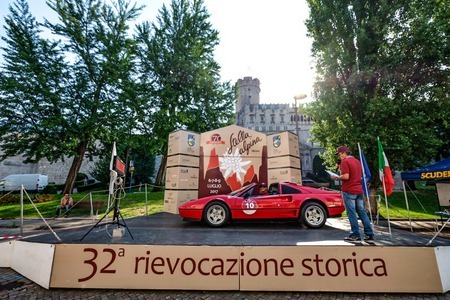 The route of the rally then returned to the starting point, closing a virtuous circle at Cantine Ferrari, where the highly-anticipated awards ceremony was held. 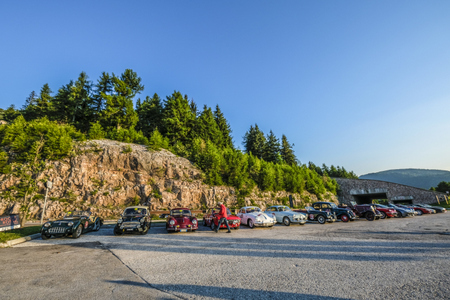 There was time to relax and chat with the other crews while waiting for the rankings to be published, trading stories about the trials and the route, saying goodbye to old and new friends and setting the date for the 2018 rally. 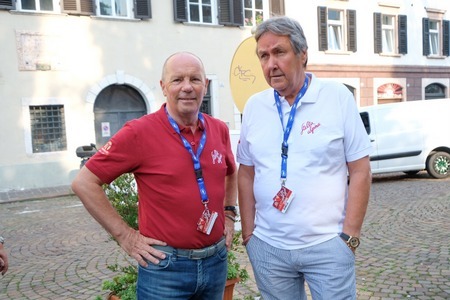 The cups and watches were on display in the room where the winners were to be announced, the timekeepers handed over the rankings, the doors opened, and Enrico Zobele, along with all the team, were ready to welcome the competitors and the winners of this exceptional edition. 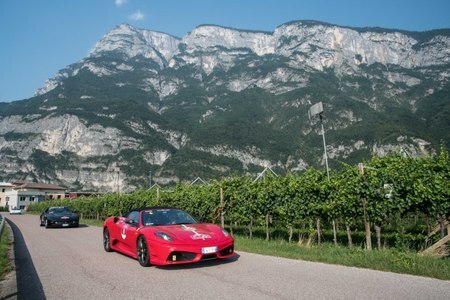 Lunch at Cantine Ferrari.